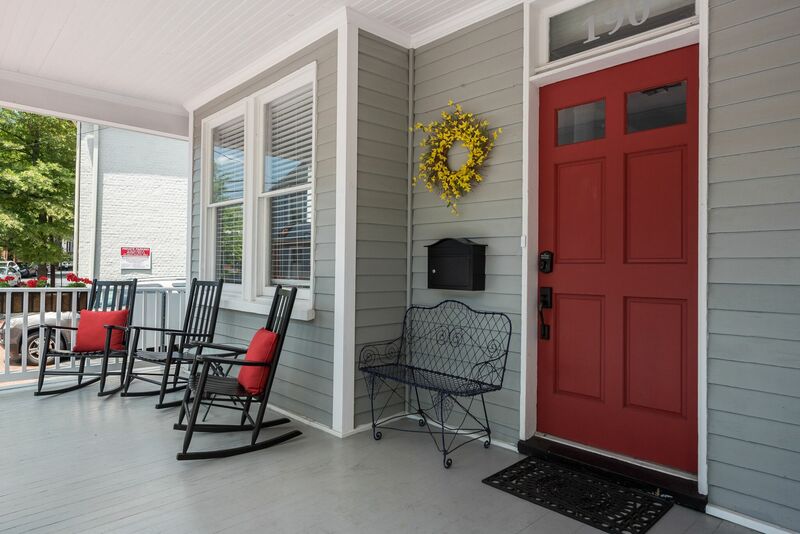 Elegantly Updated, Light-Filled Historic Escape With 2 Deeded Parking Places. High Ceilings, Bright, Open Floor Plan, Gorgeous Chef’s Kitchen & Marble Island, Two Family Rooms, Hardwood Floors, Updated Bathrooms, Double Vanities, Laundry Off Of Master, Master Custom Closet, Charming, Spacious Front Porch. Office / Den Space in Fin Basement. Optional Rental Income Opportunities For 2017 & 2018.